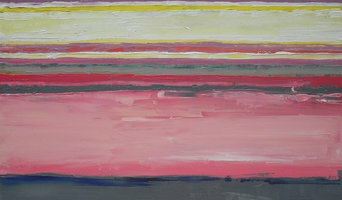 I am an artist based in The Meon Valley in Hampshire. I take inspiration from the natural world around me. Art on Tiles is a UK-based bespoke hand painted tile company with around twenty five years experience of producing beautiful hand painted or digitally printed ceramic tiles using a range of traditional and cutting edge techniques. Everything we produce is made to order with commissions taking an average of four weeks to complete. We hope you will find our gallery of past commissions inspiring. Remember, if you can’t see what you are looking for here, we can agree a design with you. The only limit is your imagination and you are likely to be pleasantly surprised to discover that the cost is very much in line with something off-the-shelf. Let Starlight Murals create a unique and exciting space for your home with a beautiful hand-painted wall mural. Transform a plain and tired room to one full of imagination and make your wildest dreams come true. 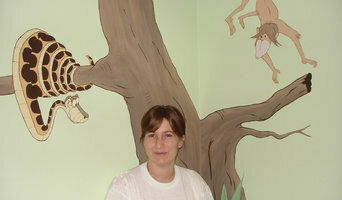 I cater for all budgets and room sizes incorporating complete rooms, single wall mural and ‘spot’ murals. I can paint any theme or style including; fairytales, fantasy or your favourite TV and movie characters. I work in both residential and commercial premises painting children’s bedrooms, nurseries, playrooms, swimming pool rooms and coffee shops. As well as painting directly onto your wall, I can also paint murals on canvas which make a wonderful gift for someone special. We are a fused and stained glass design house. Working primarily with fused and hand painted glass to create bespoke architectural and interior solutions. Products include lighting, tiling and stained glass. 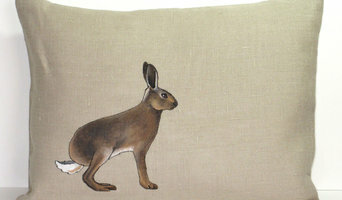 Professional artist and textile designer. I design wallpapers and fabrics, as well as taking commission for murals and wall art. Natural landscapes can have a significant impact on our wellbeing. Through wall designs and paintings, it is possible to bring beauty and light into the spaces that we live in and move through. Our passion is to design and create contemporary garden sculpture, adding year round interest to the garden. Pieces are curvaceous, charmingly simple, almost two dimensional and crafted from stainless or sheet steel. For a more contemporary feel Stainless pieces are hand polished to the highest standards, whereas our mild steel sculptures are left to oxidise naturally, a process that highlights the intrinsic beauty of the material as the finish evolves with time. Plenty here to liven up any flagging garden, whatever your budget. I am a qualified and experienced furniture restorer and can offer a full restoration and repair service on both antique and modern furniture. Professional multi award winning international artist and photographer specializing in equine and canine fine art and photography. At Classic James, quality and sustainability is our main driving force. All of our products are made from locally sourced and salvaged materials, which are then professionally refurbished and made to last. We have a highly skilled background in architectural technology, precision engineering, interior design, and arts and crafts. With a wide variety of skills and a passion for high quality, innovation and sustainability, We found a calling salvaging local items and upcycling them for resale. Visit our Etsy shop to purchase a unique and high quality item today, or get in contact to discuss a customised project. Based in Portsmouth, Hampshire I produce high quality 3D furniture models, interior visualisations and create original works of fine art on canvas. I am particularly interested in working with Interior Designers, Mural Artists and specifiers on larger projects. Independent photography business with an online gallery for people to view and purchase simply. 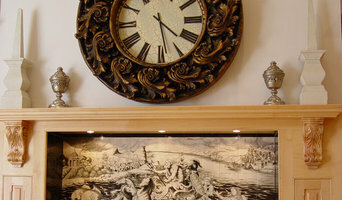 Pieces sold or displayed in independent home furniture stores. I am also available to create bespoke pieces simply contact me to let me know what you require. For which types of work would I need Portsmouth, Hampshire artists or craftsmen? From the small to the large, the intricate to the bold, there’s a skilled artisan or craftsman that can create and supply you with beautiful artistic features to fit with your designs. If you’re after a standard, framed painting, then you can find all sorts of artists who create landscape, still life, modern, portrait or even pop art. Or you can find artists in Portsmouth, Hampshire that will create more unusual wall designs and murals, paint furniture or even floors and ceilings for you. Even the essential items, like plates, bowls, tiles, splashbacks, lampshades and headboards, can be handcrafted, painted or designed by potters and artists to give your everyday life that extra decorative flourish. If you’re struggling to find the right crockery to fit in your kitchen or the perfect vase to use as a centrepiece on your dining room table, then you could turn to a potter. Potters can handcraft bowls, plates, vases and all sorts of other ceramic items for your home and finish them in a style that suits you – painted, patterned, glazed or white-washed. Take a look at their current style and decide whether a Portsmouth, Hampshire potter could produce items for your home that you’ll fall in love with. It’s always fun to try your hand at a bit of arts and crafts, but there are definitely some crafts that are best left to the professional potters, craftsmen and artists. 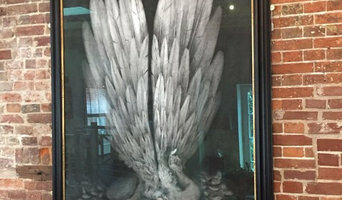 Glass, sculpture and ceramic artists will be experienced workers who have honed their craft for many years, so if you are looking for a stained glass door panel, a garden sculpture or a set of beautifully-crafted vases, then it’s time to turn to a professional Portsmouth, Hampshire craftsman, artist or potter. Why not think outside the box, too, and consider a metalwork wine rack or a metal, one-of-a-kind wall clock? Even very specialist craftsmen such as blacksmiths can be found on Houzz, so no matter how outside-the-box you think, your designs could come to life. Here are some related professionals and vendors to complement the work of artists & artisans: Interior Designers, Specialist Contractors, Lighting, Carpenters & Joiners. Find artists, potters and craftsmen on Houzz Peruse portfolios in the Professionals section to find Portsmouth, Hampshire artists to add beauty to your home. Narrow down your search to find Portsmouth, Hampshire stained glass artisans, potters, mural artists and more.